In 1977, a rising Minneapolis musician named Prince Rogers Nelson was connected with local photographer Robert Whitman to shoot photos that would later become part of the artist's official Warner Bros. press kit. They were both early in their careers, working with little resources and no clear agenda for how pre-fame Prince wanted to be portrayed. After listening to a demo of Prince's "Soft and Wet," Whitman operated on instincts, capturing the 19-year-old musician in his manager's apartment and around the Twin Cities — a rare, intimate experience with the "Purple Rain" singer before he became one of the world's biggest pop icons. Now 40 years later, Whitman has chronicled this photoshoot in a new book, titled Prince Pre Fame, which pairs 648 black-and-white images with the original 1977 press brochure and diary entries from Prince's then manager Gary Levinson. The 200-page book also opens with a tribute from Spike Lee, who collaborated with Prince throughout his career. We caught up with Whitman, below, to learn more about shooting Prince before he became big, and the ways Minneapolis helped support his success. How did you first meet Prince? It all happened very quickly — It was fall of 1977 in Minneapolis, and Gary Levinson, his co-manager and my friend, appeared at my apartment door. He was totally excited saying, "You have to hear this!" At that time, Minneapolis was incredibly fertile from a music point of view; I was shooting bands all over the city. We drove around in my car listening to the cassette "Soft and Wet." It was absolutely amazing; we all knew that kid had something special, and they just needed to bring it out. The photoshoot was the first step. I met Prince the day after, and Gary took me to the recording studio where Prince was playing. He was able to play every instrument in that room and there were a lot there. I was impressed; he was friendly, soft-spoken and quite shy. You were both young when you met and really at the beginning of your careers. How do you think this impacted your shoots together? We were both just trying to figure things out. I was a hippy, young and a bit crazy at the beginning of my career — returning back from a trip around the world and a lot of dreams with me. I believe both of us had the same feelings, getting ready for something big. My career started in Minneapolis just as Prince's did. The photos I took were part of the press kit that got him signed with Warner Bros. just few months later. Our shoot was a trip — it was simple, just us, no timing, no stylist involved. I would say he was happy when I was shooting him with an instrument, but he comes out in such an honest way for the rest of the shots. From this early encounter, did you anticipate Prince becoming an international icon? Yes! Everyone had the feeling he was going to be a huge star. Why? His music. In Minneapolis, everybody was making music at that time, but when I heard the first cassette of Prince we all knew was going to be something special. Assuming you had very little resources, what were your early set-ups like? We had very little, and for long time I thought the photos were too raw. We did not have guidance of any kind, just two artists at the beginning of their careers getting together and trying everything we had to make some nice shots. We took to the streets and let whatever happen happen; it was fun and very easy going. Minneapolis' Music Wall was really a unique, perfect background. I would say that was the only thing I thought of before the photoshoot. His manager's house had a piano, guitar and a dog, and my studio had props — very ugly props, but we still used them. Did Prince give input on how he wanted to be depicted or was this more of a collaboration? It was a total collaboration. We had no idea what we wanted — neither me , his managers nor Prince. I just a shot and another shot, and Prince was giving ideas. For example, in his manager's house he decided to lay down on the carpet. It was a good photoshoot and I know that if I have to photograph a new artist at the beginning of their career now, it will never be the same as it was with Prince. What was Minneapolis' music scene like at the time, and how did Prince fit into this? At that time, everyone called Minneapolis the "MiniApple" — a mini NYC. Every night, we would go and listen to live music or go to an art exhibition. I would visit friends at their studios. It was an inspiring period. Prince was very focus on his music. Seeing such a young person being so devoted to his art was very inspiring for all of us. Through a racial lens, what was Minneapolis like during Prince's come-up? Was it an environment for an artist like him to be widely accepted? In Minneapolis, the percentage of non-white communities during the '60s and '70s was quite limited, but I believe there was more equality then than now. The Twin Cities was really committed to civil rights and racial integration through the '70s, but after that the commitment began to collapse. I believe exclusionary housing practices in the suburbs helped in this collapse. I never got involved in politics myself, but I had friends who were very passionate. Prince didn't want to be known as a black musician or a white musician, just a musician. Music was enough in Minneapolis at that time when he came up. This does not mean it was easy for him, but he was able to make it easy, which I am sure required a lot of effort. He definitely succeeded. 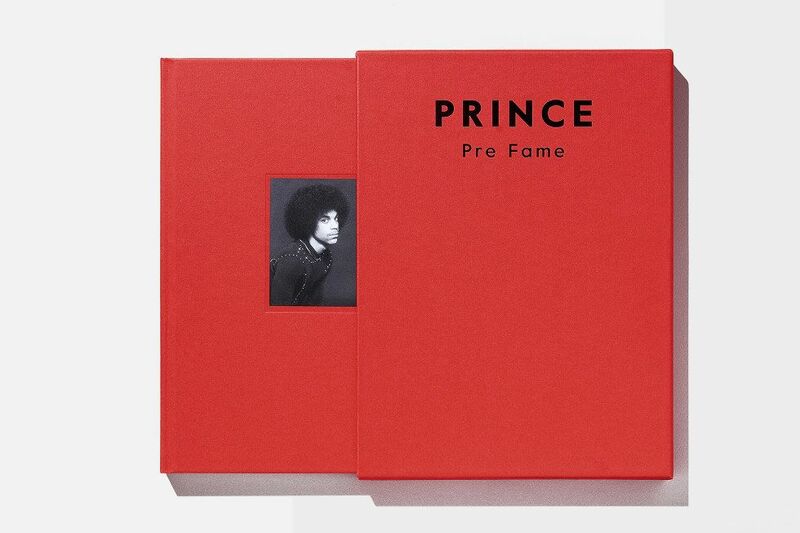 Prince 'Pre Fame' by Robert Whitman is available to purchase on December 14 at Vero. You can RSVP at prefame.info for One Art Space Gallery's special event, which runs from December 15 - 17.